Gemini – is a fully-controlled salt water management system. A multi-electrode probe analyses water chemistry and determines how much chlorine needs to be produced by the electrolytic cell. The probe also assesses the pH of the water and adjusts as necessary. 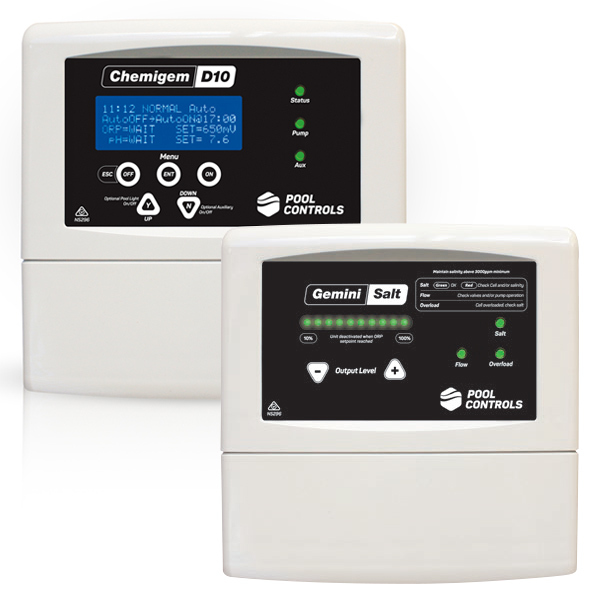 The Gemini Twin System is available with two sizes of salt chlorinator – 20g/hr and 30g/hr. The Gemini 30 Mineral system is specially configured for use in a mineral pool and uses a 30g/hr chlorinator.